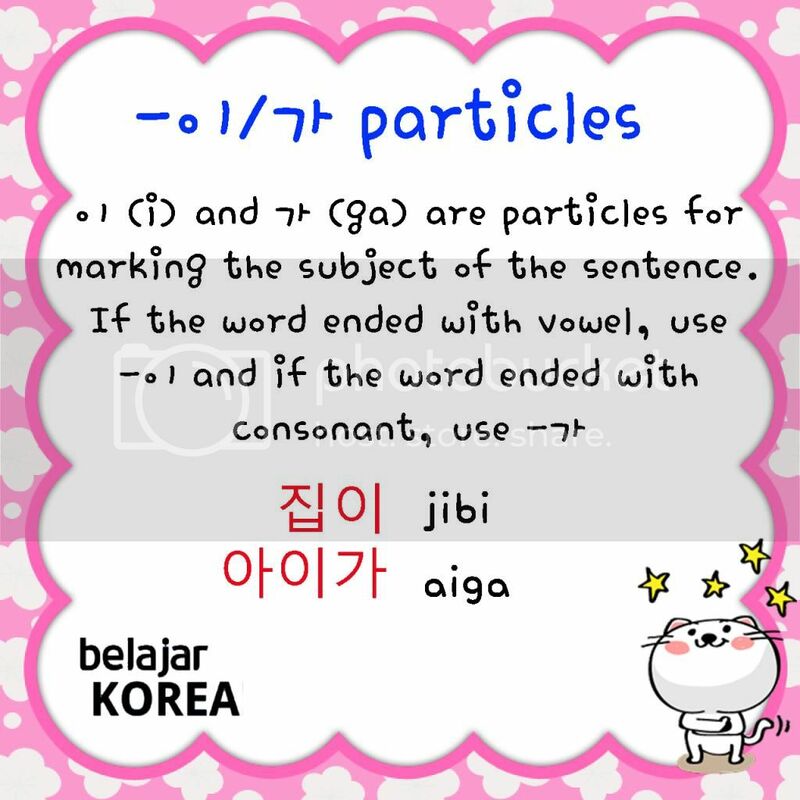 Ready to learn some Korean grammar? We already knew about subject in sentence. 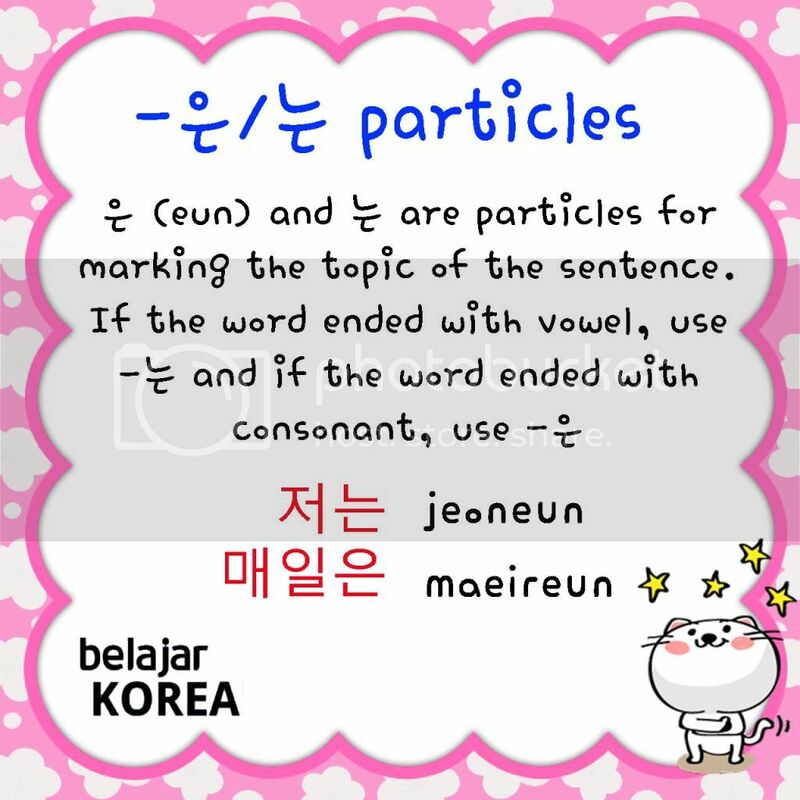 But do you know there is a particle which mark subject in Korean? It’s ‘이‘ and ‘가‘ (‘i’ and ‘ga’). ‘I’ is used when the subject will be marked ends with a consonant. And ‘ga’ is used when it ends with a vowel.